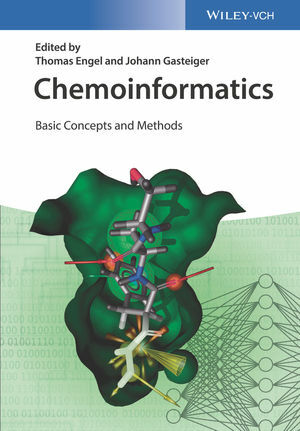 This essential guide to the knowledge and tools in the field includes everything from the basic concepts to modern methods, while also forming a bridge to bioinformatics. The textbook offers a very clear and didactical structure, starting from the basics and the theory, before going on to provide an overview of the methods. Learning is now even easier thanks to exercises at the end of each section or chapter. Software tools are explained in detail, so that the students not only learn the necessary theoretical background, but also how to use the different software packages available. The wide range of applications is presented in the corresponding book Applied Chemoinformatics - Achievements and Future Opportunities (ISBN 9783527342013). For Master and PhD students in chemistry, biochemistry and computer science, as well as providing an excellent introduction for other newcomers to the field. Johann Gasteiger is Professor emeritus of Chemistry at the University of Erlangen-Nuremberg, Germany and the co-founder of "Computer-Chemie-Centrum". He has received numerous awards and is a member of several societies and editorial boards. His research interests are in the development of software for drug design, simulation of chemical reactions, organic synthesis design, simulation of spectra, and chemical information processing by neural networks and genetic algorithms. Thomas Engel is is coordinator at the Department of Chemistry and Biochemistry of the Ludwig-Maximilians-Universität in Munich, Germany. He received his academic degrees at the University of Würzburg. Since 2001 he is lecturer at various universities promoting and establishing courses in scientific computing. He is also a member of the Chemistry-Information-Computer section (CIC) of the GDCh and the Molecular Graphics and Modeling Society (German section).